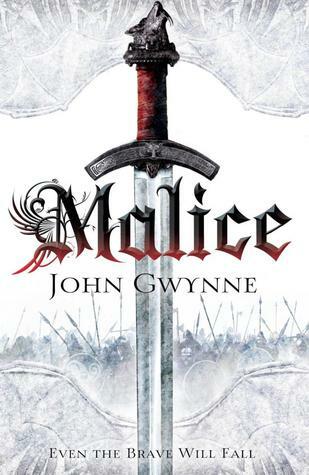 Told through shifting POVs from chapter-to-chapter, Malice is a dark epic fantasy about ambition, greed and the depths of betrayal. *This is my second read through of this book, but I’ve re-written my review to better capture my thoughts on the story. This book was just as awesome as I remembered it. It still amazes me that this is a debut novel. The character growth alone over the course of the story is enough to really set this one apart. I love watching all my little favorites grow and mature as they get pulled into the rapidly unfolding events of the plot. You can tell this was a story crafted with love and a lot of planning. This is epic fantasy done right, and fans of the genre are sure to love this. For those unfamiliar, epic fantasy requires a bit of a commitment on the reader’s part. There are a lot of locations to familiarize yourself with, and even more characters, as well as a shifting POV narrative style – but trust me when I say that it is worth the effort here! John Gwynne has created an intricately crafted tapestry of character, setting and plot, and it becomes immensely satisfying when you start seeing those threads drawing together. This book is filled with two types of characters: those you love, and those you love to hate. But regardless of what side your favorite character falls on – or what blade they fall upon – it’s impossible not to appreciate the level of care that went into their characterization. There is a considerable amount of time spent at the start of this novel slowly introducing plot elements in the midst of otherwise ordinary moments in characters lives. It’s such a lovely way of getting to know the central figures of the story, and it makes you appreciate the people they become so much more. Regardless of what character we’re seeing events through, their views of events feel fresh and colored by their unique perspective, giving each character a considerably different – and understandable – view of the world from one another. The world-building and history of the Banished Lands within the pages of this book are top notch. As with any fantasy novel, there’s a grace period at the start where you have to familiarize yourself with the basic rules of the world, but once you’ve made sense of it Gwynne changes tack to focus on the characters. The setting becomes a gorgeous backdrop for character growth. The world feels lush and lived in, and full of magic but it’s never overwhelming and difficult to understand. Especially in the last the last few hundred pages when it becomes difficult to even consider putting to book down. I was busy with Easter and going into final exams at school, but you can bet I was carrying this tome around with me and reading it during every single spare moment I had! Overall, I can’t say enough good things about it. I loved this book the first time I read it, and I still love it today. I’m so excited to be moving into fresh territory and finishing out these characters journeys now that I’m nearing the end of school and will have the time to commit to it! Have you read this book? Without spoiling me, have you read the sequels? Are they just as good? This is such a great series! I haven’t read the fourth yet though, I’m worried I’ve left far in too long in between and will struggle to remember what’s happened! Oh no, I hate when that happens! I hope you find a way to remind yourself and it comes back easily for you when you attempt the final book! This sounds like a cool series. I’m always looking for more fantasy books for my husband. How’s the content in this series? Is he more brutal like Peter V. Brett and Martin or more easier like Sanderson? Definitely more on the brutal side. There’s a lot of battles and throat slashing in this one. Alrighty good to know. I need to not be a chicken lol. I’ve heard awesome things about his books.